This one-storey brick and stone building was designed by architect Henry Sandham Griffith, and built in 1903 at a cost of about $20,000 by J-A. Senecal. It featured four classrooms on its main floor, with a library, laboratory, parlour, kitchen, dining hall, and dormitory. A recreation room and mechanical appliancees were in its basement. The building was used to provide bilingual training for French teachers until 1923 when the provincial government repealed part of the Public Schools Act and teacher training became English only. 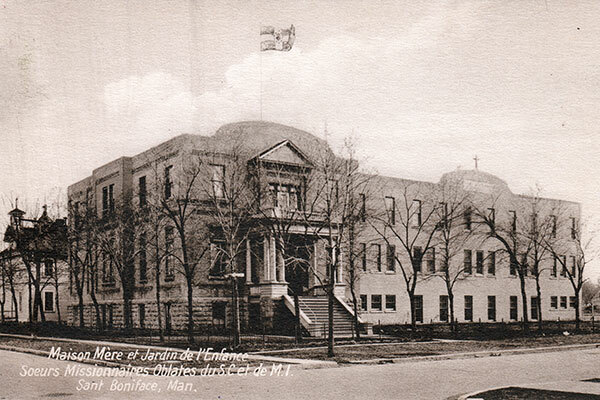 The building was purchased in 1923 by Les Missionnaires Oblates (Oblate Sisters) and converted to a boys’ residential school (le Jardin de l’Enfance). A two-storey addition was made on the west side in 1928. 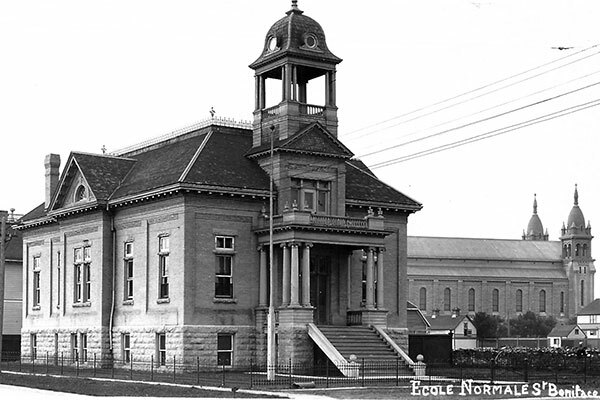 Ten years later, the facility became a domestic training centre for girls known as Ecole Menagere Notre Dame. This school had ceased operations by 1972. The building was converted to housing for elderly people and renamed Foyer Notre Dame, later Residence Langevin. It was sold by the Oblate Sisters in 1980 and subsequently connected by a one-storey addition to the 147-suite Accueil Colombien at 200 rue Masson. The building is a municipally-designated historic site. 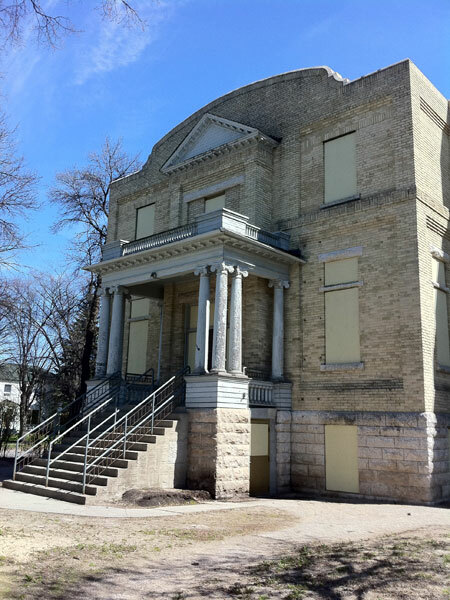 Annual Report of the City of Winnipeg Historical Buildings Committee, 2005. St. Boniface Normal School / Residence Langevin (210 rue Masson), Winnipeg Historical Buildings Committee, July 1989.